I’m planning a big React web development course. In this video I cover how to set everything up on Windows 10 including : Node, HomeBrew, React, Express, Popper.js, JQuery, Bootstrap, MongoDB, WebPack, Babel and the directory layout for my upcoming tutorials.I attached links to everything I already have tutorials on. All of the code used follows the video below. 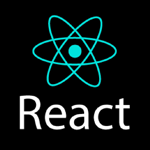 I showed how to Install ReactJS for MacOS and Linux here. It is becoming extremely hard to cover my costs because of Ad Blockers. I only use one 5 second skippable ad in my videos. Please consider not using Ad Blockers so that I can continue making free tutorials. "start": "webpack-dev-server --config ./webpack.config.js --mode development"